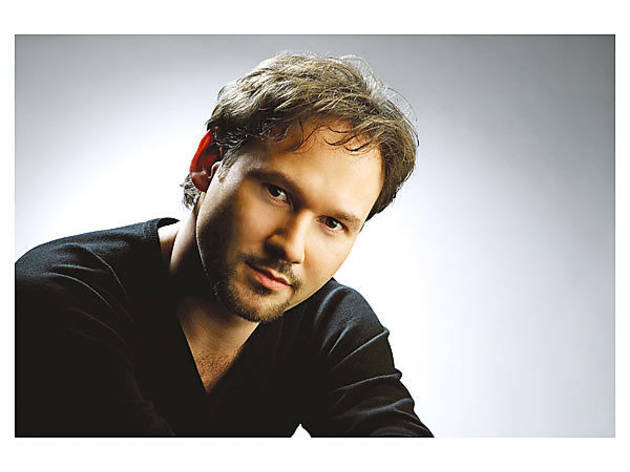 Mariusz Kwiecien has a rebellious air about him: dramatic features, a bad-boy goatee and a recurring role as Don Giovanni, the hellbound womanizer in Mozart’s opera of the same name. Last week, the 35-year-old Polish baritone, now a mainstay at the Metropolitan Opera, replaced Dmitri Hvorostovsky in the title role of Eugene Onegin at Lyric Opera. At once elitist and deeply troubled, Onegin is a character of kaleidoscopic complexity. Speaking to Kwiecien shortly before his transition to Chicago, we learned that when tackling the part, a little self-assurance goes a long way. Time Out Chicago: You’re taking over for Hvorostovsky, a man widely considered to be born for the role of Eugene Onegin. Is there pressure? Marius Kwiecien: [Laughs] No pressure at all! We are completely different people. While I think he’s good and I think I am good, we propose two different characters. We’re both from Eastern European countries, which is more or less the same culture, so we understand this music in our hearts and soul. I’m ten years younger. Our voices are different. It’s like asking Leontyne Price if she feels pressure singing after some other singer. Of course there’s no pressure. 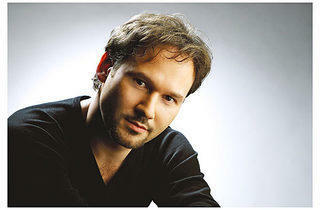 TOC: What do you think of Robert Carsen, who directed Onegin at Lyric? Marius Kwiecien: He’s a very talented guy with strong opinions. Working personally with him was a very good experience. I probably won’t work with him this time since I’m coming for just three days of rehearsals. TOC: In New York last October, we saw you give a thrilling Met Opera performance as Enrico in Lucia di Lammermoor. Yet that hyped production by Chicago-theater vet Mary Zimmerman has disappointed many. Marius Kwiecien: Well, the production is nice and there are beautiful costumes, but there are some problems with staging, as Mary Zimmerman is inexperienced in opera. Some aspects we liked and some we didn’t. It’s always like that. TOC: It seems like onstage you’re trying to be as genuine as possible rather than overtly theatrical. Marius Kwiecien: On the big stage in America, you are asked to sing and act big. But the most important thing in theater is to be realistic. Less, but stronger in the interpretation. TOC: You came late to opera in your teens. Marius Kwiecien: I think that’s early. Some people start to work when they’re 25. At the beginning of my life, I was the singer in a chorus, and I really didn’t like opera that much. When I was 16 or 17, I sang so many solo parts in oratorios. I met a bass singer at that time who was the best singer I’d ever heard, and that is how I fell in love with opera. Two years later I debuted in Milan at La Scala. Marius Kwiecien: I composed some music, but it was never performed on a professional stage. Because I could compose, though, it helped me with counterpoint and conducting. TOC: You could compose the next great Polish opera. Marius Kwiecien: Ohhh-kay. [Laughs] I think I’ll stay singing. TOC: Outside of Warsaw, Chicago has one of the biggest Polish populations in the world. Do you feel at home coming here? Marius Kwiecien: Well, no, I feel at home when I’m in Krakow. My second home is New York. Chicago is just a place where I sing. TOC: What’s life like for you down the road? Marius Kwiecien: Still singing, I hope. I will still try to do my passions, photography and travels, have lots of friends, and of course I will try to look young. Kwiecien performs in Eugene Onegin through March 30.